As a famously (and now infamously) secretive company,Apple AAPL +1.79% never likes anyone to know about it iPhone plans. 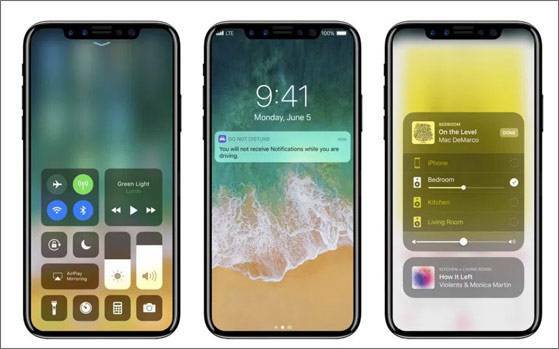 But given the company’s torrid recent weeks and the immense pressure to do better, I suspect Apple will almost welcome the distraction it will get following this significant leak about its three new 2018 iPhones. It stems from respected technology analyst TrendForce. In a new report obtained by 9to5Mac, TrendForce states this year Apple will not only expand the next generation iPhone X into two model range with the arrival of an iPhone X Plus, but also finally update the iPhone SE after a two year hiatus. And the biggest change – as Nikkei has already revealed – is literally size. While the iPhone X saw Apple jump to a 5.8-inch panel for the first time, Nikkei believes the iPhone X Plus will jump to 6.2 or 6.3-inches while the iPhone SE will be supersized from 4-inches to 6.1-inches. Look away if you have small hands. While it was silence about the iPhone SE2, TrendForce states the iPhone X and iPhone X Plus will use a second generation of Face ID technology. This is expected to result in an increased screen-to-body ratios (presumably from a smaller notch) and potentially a larger top memory configuration (Samsung finalised 512GB smartphone memory modules late last year). Meanwhile Apple itself may want to look away from the second part of TrendForce’s report. The analyst claims Apple will not reap the heavily predicted 2018 sales ‘supercycle’ led by the iPhone X. Instead Apple will enjoy a more modest 7.5% sales growth, something still notably stronger than the 3% sales decline TrendForce expects for Samsung amid growing competition from China.